Is Trapper, the bloke behind the big bakeries at Braidwood and Goulburn, a bushman who got the idea while baking damper, or a builder from Duffy with a vivid imagination? Keith Woodman is both and more, a man terrified of failure and unafraid of trying new ideas. Sneers ignited his determination to rise out of poverty when he was a young businessman. He’s never baked bread in his life. 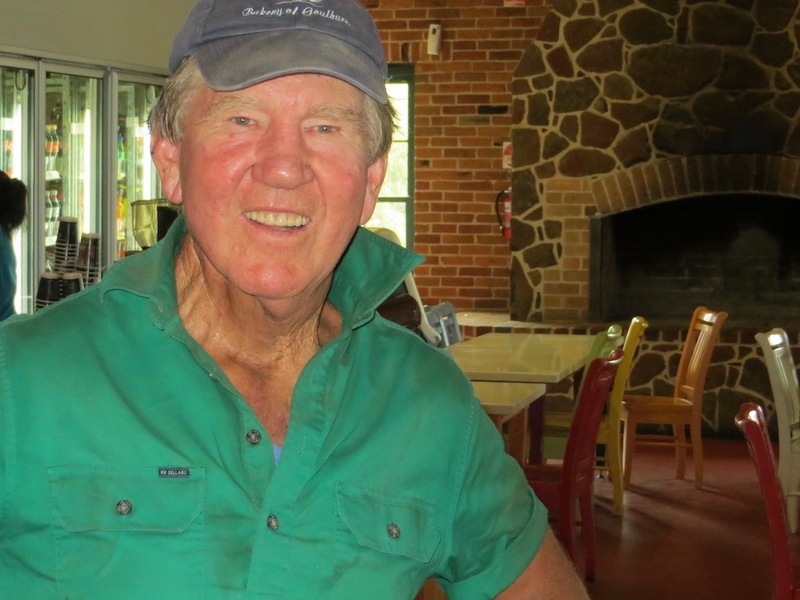 The idea of a bakery at South Goulburn came in an instant, years after he had bought the site. “I sat on it for a few years before I suddenly thought, geez, I could build a bakery, and that was just deadset straight out of my arse,” he says. Keith had a love-hate relationship with his father, a bookmaker, seasonal worker and rabbit trapper. Depression-raised and war-weary, Bill Woodman was 47 when Keith was born in 1949. Sometimes Bill went walkabout, leaving Keith’s mother Ann to provide for her two children. “She worked all her life at Supertex [a chenille factory in Goulburn] on very low money,” he said. Bill taught him to flush rabbits from warrens with ferrets. By the time he was 11, Woodie, as he was known then, was buying and selling ferrets. Dubbing his mate Danny Roberts and 30 rabbit traps on his bike, he trapped all around Goulburn. Woodie sold skins and carcasses, delivered afternoon newspapers, collected bottles along highways shimmering in the heat for sixpences and helped Bill pick up potatoes buried in Bannister’s rich soil near Crookwell. At the rifle range he scooped up lead pellets which he sold to a scrap merchant. Ordinary in the classroom, excellent at sport, he left school, completed a five-year mechanics course, married at 20 and had his first child a year later. He became a licensed builder, worked at Duffy, then returned to borrow heavily to buy land near Goulburn at Golspie and Roslyn, and at Young. He paused to reflect while writing a book, Trapper: the inspiring story of a self-made man (Playwright Publishing) and decided if he had his time over again, he would not have borrowed up to $2 million in the late 1980s. “I put too much pressure on myself and my family,” he said. “I used to sell a lot of fodder in the drought, making good money that was helping the huge debt load of over 20 per cent interest rates. I do remember, stress got to me. I used to have severe headaches. I thought I’ve got to stop, but I can’t stop because I’m making money and I need the money. It was really a two-edged sword. About 1994, on the strength of his daughter Jeanette’s experience in the motel business, he signed a contract to buy the Lilac City Motel, while trying to raise finance. “The day it came through I rang the agent, and he said, bad luck, you buggered up, you have been too slow. So that was a bit of a kick in the guts. Working non-stop, he relied on lights from McDonald’s next door to build into the night. At least 120 LandCruiser-loads of basalt rocks were hauled in from Roslyn to build the distinctive fireplace and fences. Under the shower at home at Golspie he hit on the name Trapper’s for his new motel. Electrician Allan O’Neill, giving him a spray one testing day on the 74-room project, finished with the name Trapper which stuck. The $3 million cost grew alarmingly by the time they had finished. Soon after they were winning national industry awards, with Jeanette at the helm. Working furiously, Jeanette slipped over on the loose granite driveway one Saturday night, tearing skin from her knees and elbows. “She was in tears,” he says. With Sydney businessman Brian Carpenter whom he met at Trapper’s in 2002, he bought a Crookwell department store and sold it several years later for twice the amount he had expected. Mr Carpenter had become his best mate until his unexpected recent death. 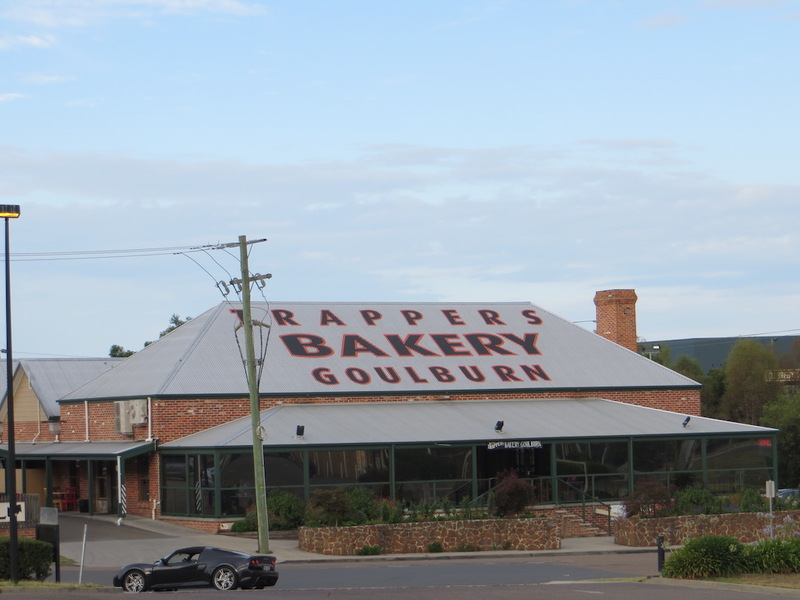 Trapper bought another block at South Goulburn well before building and opening the Goulburn Bakery in 2006, terrified of failure. He appointed daughter Rachael to run the bakery’s crucial back section remembering years earlier when she stepped in after a chef at the motel had a hissy fit. “I don’t know what was wrong, because it was bloody easy,” the 13-year-old had said afterwards. Spacious with big windows and sprinkled with signs pointing to Trapper’s logic, the two bakeries fired, so much so sites at Gundagai and Wagga Wagga were later secured for expansion plans, only to collapse in early 2014, when he decided the Woodman family, a key business ingredient, were spread too thinly. They stuck to Goulburn and Braidwood. Trapper recruits staff to develop them around his children, Rachel, John and Jeanette. “They start to think a bit like you,” he says. Trapper says he is blessed with a “good engine”. He feels strong and sharp enough to run the business for another 10 years, which will include a major renovation and developing the car park at Goulburn, maybe with another eatery. He continues running about 1000 cattle on his rural holdings. Going so long without money when he was young drives his work ethic. “I think there would have been a bit of, I don’t know, sneering at me with people who had money,” he says. Pictured at top, Trapper’s Bakery in Goulburn. Above, Keith Woodman, aka. 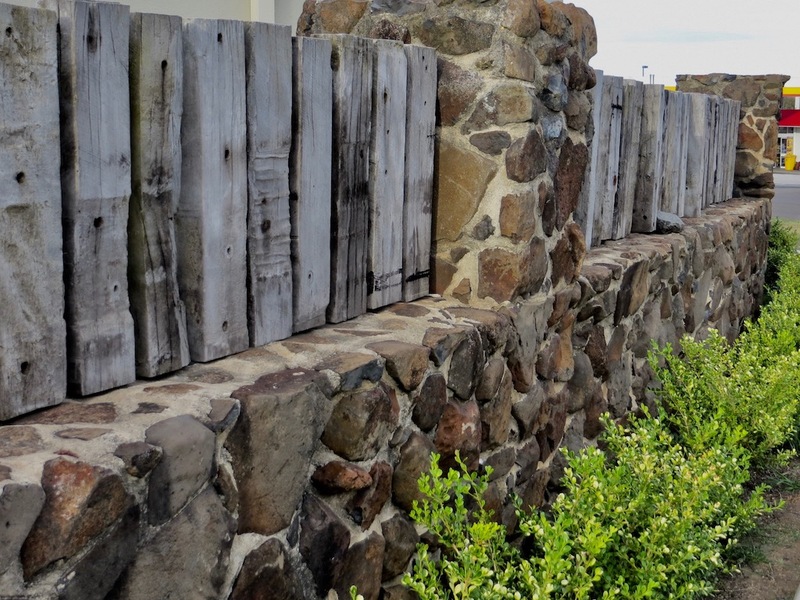 The Trapper and the basalt stone fence at his first motel. Photos: John Thistleton.